The senior project is touted as the hallmark of a Purchase degree. It’s worth eight credits and takes two semesters to prepare. Journalism majors can choose to do theirs as a long-form written article, a photographic piece, or a television-style work. A minority choose to do a research paper. Double majors like Scott do one project that is a reflection of both their majors. 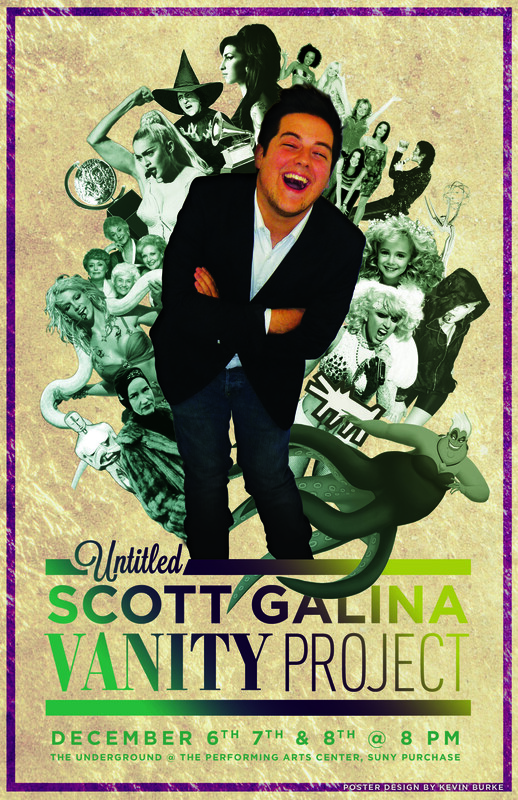 Scott’s show runs December 6th, 7th, and 8th at 8 p.m. in the basement of the Performing Arts Center. All are welcome. Knock their socks off, Scott!